Described as "a story of wealth, ambition, and survival", this book is action packed. 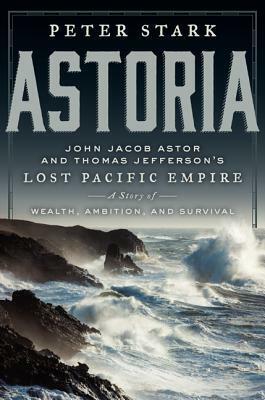 Entrepreneur and German immigrant John Jacob Astor sought to extend his global fur trading empire by establishing a trading base in the newly charted regions of the Pacific Northwest. Two parties were sent, one over-land party comprised of French Canadian canoeing experts, and the other across the oceans via ship. The men leading the two groups used contrasting leadership styles, one being a strict authoritarian and the other favoring democratic agreement. Both groups tragically suffered major casualties. Fighting through doubt, starvation, insurrection, and attack, the founders of Astoria had a tough job. Sign into Goodreads to see if any of your friends have read Astoria.